Going Paperless - Digitize Paper Forms Using 123FormBuilder’s New Feature! Going Paperless – Digitize Paper Forms Using 123FormBuilder’s New Feature! Organizational paper form usage is being challenged even more by 123FormBuilder through Scan to Form, an innovative solution that digitizes PDF’s or images of physical forms into editable versions. Traditional paper form usage is still a global challenge, as companies use thousands of paper sheets during a year. Scan to Form aims to optimize company work processes by bringing that offline content in the digital world. Digital processes have multiple advantages over traditional ones, such as faster and more reliable communication between departments, sync data with other platforms and an extra security layer. Talking about money, Scan to Form will significantly reduce office supply expenses related to paper. Having AI technology integrated, users can take a picture of a paper-based form, upload it inside 123FormBuilder and will have it transformed directly into a fillable web form! Every field and any text will be recognized and transformed into a digital version of the content. The new feature Scan to Form works with JPEG images, as well as PDF documents, and even with form drafts sketched with pen and paper. 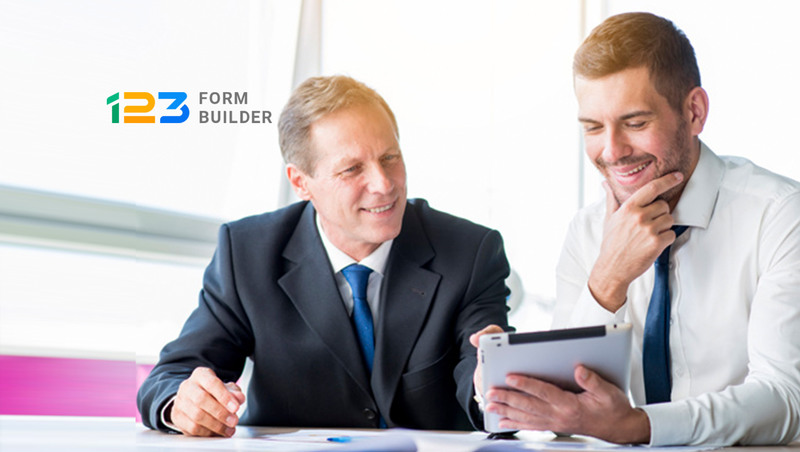 Once the form has been transferred online, it will be treated just like any other 123FormBuilder form. With a whole settings suite available, the form can then be transformed into work flows by adding email notifications, centralized data gathering and more! No need to worry about logistic and security of fragile paper sheets. Scan to Form can already be used by all 123FormBuilder users for free until further notice. When choosing to create a new form, users are asked if they want to start from scratch or a scanned document instead. If people don’t have an account, they can create one for free and use Scan to Form after just a few clicks.